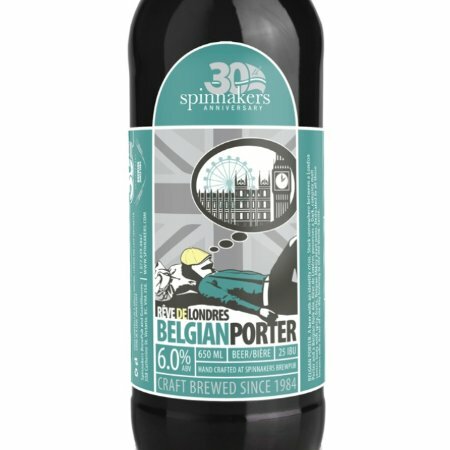 VICTORIA, BC – Spinnakers Gastro Brewpub has announced the debut of a winter seasonal beer that was originally planned for a November release, but was delayed until this week. A beer with an identity crisis. Stuck somewhere between a London Porter and a Belgian Dark Ale, Reve de Londres possesses a dark, complex malt centric body with spicy, fruity, Belgian Abbey yeast notes. Dedicated to all those brewers who dream of one day brewing in the Old World. Reve de Londres is available now on draught and in growlers at the Spinnakers brewpub, and in bottles at select liquor stores in BC.